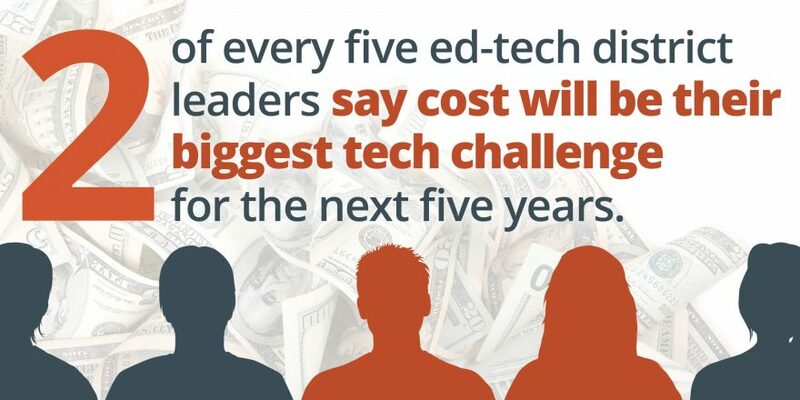 Cost, and equitable student access to digital tools, are huge factors chief technology officers and other district administrators expect to grapple with in making decisions about ed-tech adoption over the next five years. About Our Research: Edweek Market Brief members enjoy access to research they need to make critical business decisions. This includes findings from proprietary surveys conducted by the Education Week Research Center of our nationwide audience of K-12 administrators and teachers, and original analyses of data collected in partnership with other organizations.